These are stunningly rendered critters, beautiful in their hyper-realistically detailed repugnance. They're so fugly they've gone round to adorable again! The film brings to mind the anarchistic spirit of the Muppets, with twitchy anthropomorphic oddities clutching desperately to their dreams in a dust bowl town on the edge of collapse. The voice cast is very talented and the 'emotion capture' unit outdid themselves- you'd have to see it to believe in it. I cared a great deal about the characters throughout, riveted to the tried and true tale but surprised a fair number of times, too. There's a particular chase sequence towards the middle so SATURATED with sheer elaborate creativity that it overloaded my sense of wonder and delight. It was amazing! And that's kind of rare for me at the movies, nowadays. It's a bit on the violent side for a kid's movie, but... well, it serves the story. This is not a nice, safe situation this world is in, and it's not a sane, qualified bunch of folks who need to save it. It's a swift-moving action tale with a rollicking spirit and a lot of heart. Yeah, I'd see this again and I reckon I'd most likely buy it, too, sure as shootin'. 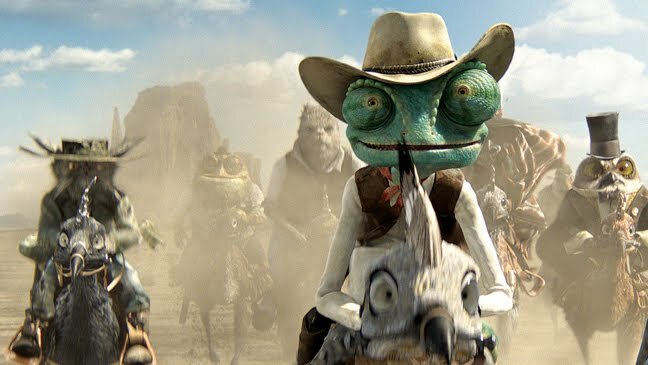 Rango has been a great movie my kids continue to enjoy. I watch most movies on line and having an option to do so make it easier to enjoy more. DISH Online is another option for DISH customers and a great way to enjoy thousands of movies and TV shows. You can watch live TV as well as recordings stored on the DVR. I don’t have to worry about movies stacking up on the DVR. This works out great for someone always on the run. This is another way I can enhance my employee service with DISH.